Cosmos Z2, done. Omega Spectrum, done. 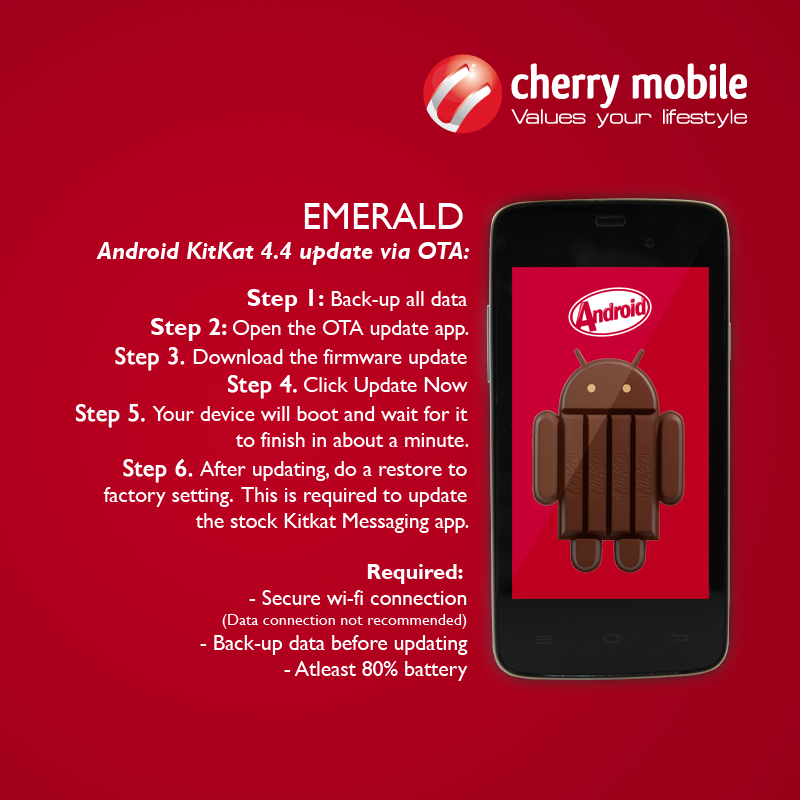 And now it is Cherry Mobile Emerald and Flare S2's turn to get their Android Kitkat over-the-air update as the local company announced its released through their Facebook page. So if you own one of these smartphones, kindly follow the steps below provided by CM. 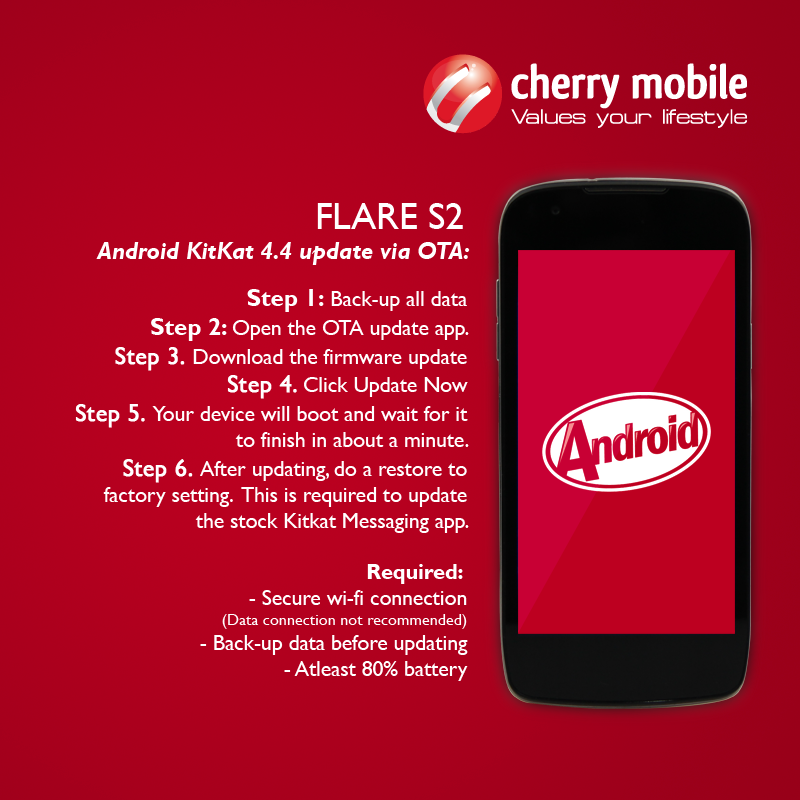 If your smartphone has not received the update yet, don't worry Cherry Mobile is not done yet. I heard MyPhone will also release Android Kitkat update for many of its devices but there is no definite date nor time frame as to when, I own a MyPhone device and I am pretty sure I should get the update as well when its out. I hope Starmobile is also working to release their own update for their users.